This article is about the city. For the town, see Rye (town), New York. Rye is a city in Westchester County, New York, United States. It is separate from the town of Rye, which is larger than the city. Rye city, formerly the village of Rye, was part of the town until it received its charter as a city in 1942. The population was 15,720 at the 2010 census. Rye is the youngest city in New York State. No other city has been chartered anywhere in New York State since 1942. The city is the site of the boyhood home and final resting place of John Jay, a Founding Father and the first Chief Justice of the United States. Original milestones, fixed in 1763 by Benjamin Franklin along the Boston Post Road during his term as Postmaster General, still mark the 24th, 25th, and 26th miles from New York City. The Square House is also in Rye, where George Washington once stayed for the night. It is now a museum. Playland, an historic amusement park and designated National Historic Landmark, is located in Rye. Playland features one of the oldest wooden roller coasters in the Northeast, the Dragon Coaster. Rye is the home of Rye High School, named a Gold Medal school and the 61st best high school in the U.S., 9th in New York State, and 1st in New York State if test-in schools are disregarded according to U.S. News & World Report's 2013 "Best High Schools". Rye also houses Rye Country Day School, a college preparatory school. In 2010, Coldwell Banker reported that Rye was the third most expensive city in the country in which to buy a home. Rye is home to one Fortune 500 company, Jarden. It is home to The American Yacht Club, Westchester Country Club, and The Apawamis Country Club. The Rye train station provides commuter rail service to Grand Central Terminal in New York City or Stamford and New Haven-Union Station via the Metro-North Railroad's New Haven Line. The Bee-Line Bus System provides bus service to Rye on routes 61 and 76 with additional seasonal service to Rye Playland on routes 75, 91, and 92. 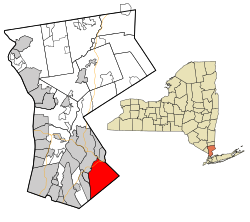 Rye was at one time a part of Fairfield County, Conn., which was a belonging of the Sachem Ponus, of the Ponus Wekuwuhm, Canaan Parish, and which was probably named for that chieftan, "Peningoe Neck". The oldest house in the city, the Timothy Knapp House, is owned by the Rye Historical Society and dates in its original version to around 1667. It was added to the National Register of Historic Places in 1982. Also listed on the National Register of Historic Places are the African Cemetery, Bird Homestead, Widow Haviland's Tavern, Rye Town Park-Bathing Complex and Oakland Beach and United States Post Office. The Boston Post Road Historic District was listed in 1982 as a National Historic Landmark. The Rye Meeting House was added in 2011. The Historical Society also owns a former inn/tavern built in 1730, the Square House, which it operates as a museum. George Washington stayed at the Square House on two separate occasions, remarking favorably on his stay in his diaries. The Jay Property at 210 Boston Post Road, where New York State's only native-born founding father John Jay grew up and where he is buried, is now the home of the not-for-profit organization the Jay Heritage Center. The Center's mission is to restore and preserve the 1838 Peter Augustus Jay House, which occupies the original site of the Jay family farm, "The Locusts". Restoration of the Jay mansion overlooking Long Island Sound is an official project of the Save America's Treasures Program. With its soaring Corinthian columns, and pedimented facade, the house is a textbook example of American Greek Revival architecture popularized before the Civil War and is noted for its many design elements influenced by Minard Lafever. The Jay Mansion is the oldest National Historic Landmark (NHL) structure in New York State with a geothermal heating and cooling system and the first in Westchester County to have such an energy efficient system. The Jay Heritage Center was recently designated a member site of the Hudson River Valley National Heritage Area. It is also listed on Westchester County's African American Heritage Trail. John Jay was well known for advocating emancipation, serving as President of the New York Manumission Society and establishing the first African Free School. Rye is known for its theme park, Rye Playland, a popular destination in the early 20th century, where people were able to take their boats right up to the park. Its famous roller coaster, the Dragon Coaster, was at one time a Top-10 wooden roller coaster in the world. Glenn Close and Ellen Latzen ride the roller coaster in the 1980s thriller, Fatal Attraction. Playland is also the setting for several key scenes in the comedy film, Big, starring Tom Hanks. Rye is served by three public elementary schools: Osborn, Milton and Midland. Rye Middle School and Rye High School follow; they are part of the same campus, and the two buildings connect. The annual Rye-Harrison football game has been played for almost 80 years and is a top high school football rivalry in Westchester County. The Rye team has won three recent New York State championships, two consecutively, and has defeated Harrison in nine consecutive meetings. 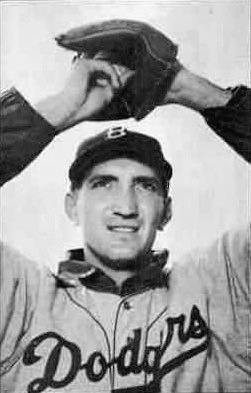 Harrison leads the all-time series with a record of 41-37-3. ^ "Profile of General Population and Housing Characteristics: 2010 Demographic Profile Data (DP-1): Rye city, New York". U.S. Census Bureau, American Factfinder. http://factfinder2.census.gov. Retrieved November 15, 2011. ^ "Top 10 most expensive real estate markets in the US". The San Francisco Chronicle. http://blog.sfgate.com/ontheblock/2010/09/28/top-10-most-expensive-real-estate-markets-in-the-us-bay-area-on-the-list-again-and-again/. Retrieved 2011-12-27. ^ Selleck, Rev. Charles M. (1896). Norwalk. p. 371. http://babel.hathitrust.org/cgi/pt?id=nnc1.cu01644378;seq=47;view=1up;num=37. ^ "National Register of Historic Places Listings". Weekly List of Actions Taken on Properties: 1/31/11 through 2/04/11. National Park Service. 2011-02-11. http://www.cr.nps.gov/nr/listings/20110211.htm. This page uses content from the English language Wikipedia. The original content was at Rye (city), New York. The list of authors can be seen in the page history. As with this Familypedia wiki, the content of Wikipedia is available under the Creative Commons License.